Who Let the Dogs In? Sound familiar? It’s very similar to what they say about having plants in the workplace! “Plants help purify the air and have a calming effect on workers making them more productive and less likely to make mistakes.” Combining plants with pets in the office is an intriguing cocktail. 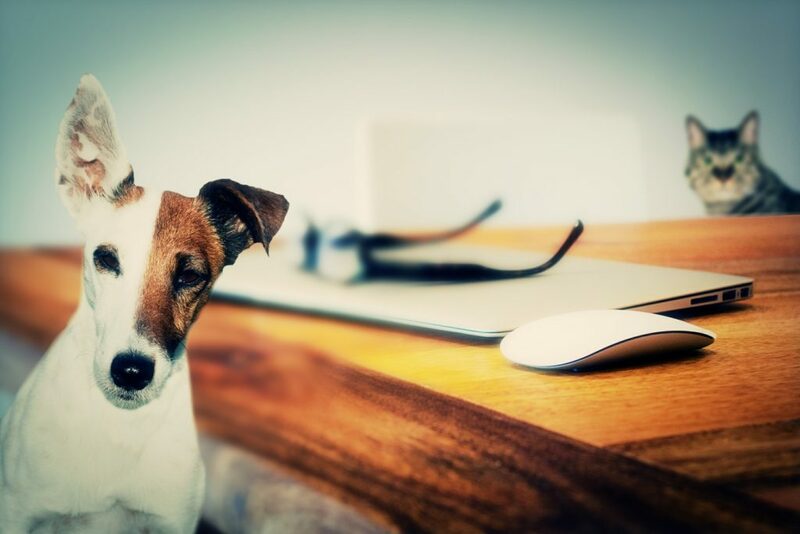 In today’s hi-tech entrepreneurial office environment, more and more business owners are bringing their dogs to work and allowing employees to do the same. In fact, about 5 years ago a Greensboro, N.C. office allowed people to bring their dogs to work during a self-reported test on stress levels. While the dog owners mellowed out and breezed through their day, the stress levels of the non-pet workers increased. The study was published in the International Journal of Workplace Health Management. Before we let the dogs in, office managers beware! Some plants are toxic to pets. The list of toxic plants is long (see below for a complete list), but these are popular office plants in South Florida. Azalea—causes vomiting, diarrhea and excessive drooling. Possible death. Lilies—the Peace and Calla lilies may cause minor drooling, but the Tiger, Day, Asiatic, Easter and Japanese Show lilies are highly toxic to cats. Dieffenbachia—causes intense oral irritation, drooling, nausea, vomiting and difficulty swallowing if ingested. Sago Palm—If ingested, the leaves and seeds can cause vomiting, bloody stools, damage to the stomach lining, sever liver failure and in some cases, death. For a complete list of plants toxic to pets, visit the ASPCA. Why are living Moss walls becoming so popular? Plantique serves South Florida from North Miami through the Treasure Coast, including the counties of Palm Beach, Broward, Miami-Dade, Martin, St. Lucie, and Indian River. © 2015–19 Plantique, Inc. All rights reserved.